Tune in tonight at 10:00 p.m. ET/8:00 p.m. MT for a fun conversation on Ghost Raps Radio, based in Richmond, VA! 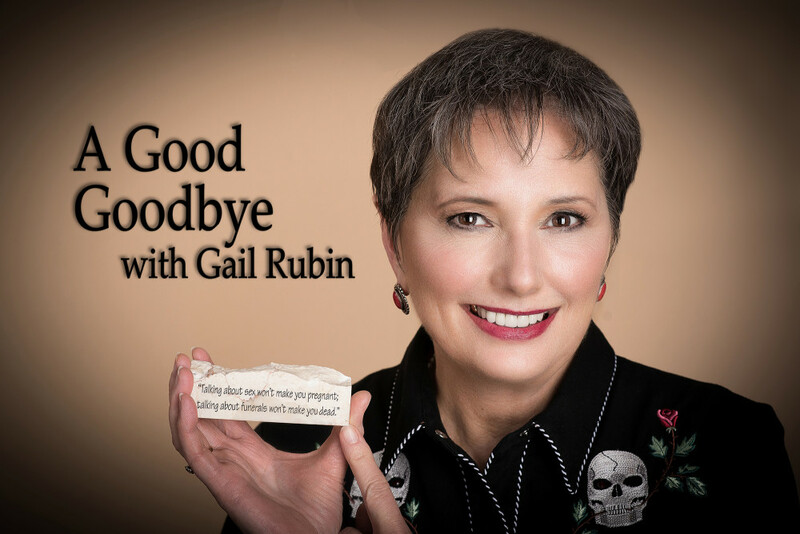 Gail Rubin joins Big Ray and K.B. to talk about funeral planning for those who don’t plan to die, and some spooky stories of spirits visiting memorial services. Ghost Raps Radio also has a TV component. And they take phone calls! The call-in number is 804 – 798 – 1010. View or listen online at www.GhostRapsRadio.com. Everyone who buys a copy of A Good Goodbye within 24 hours of the live show gets a free copy of The Newly-Dead Game™ as a bonus! Click here for more information and to place your order. « Should Friends Attend Pet Funerals?